Guys at http://allswingersclubs.org/ shared to us their funny story: they used Sublight to collect all subtitles from all swingers related movies. After that they stripped timecode and other machine related stuff and got great collection of scripts which are ready to fill of their new minisite dedicated to swinging lifestyle in cinema. That baby is good even to collect swingers movies scripts! 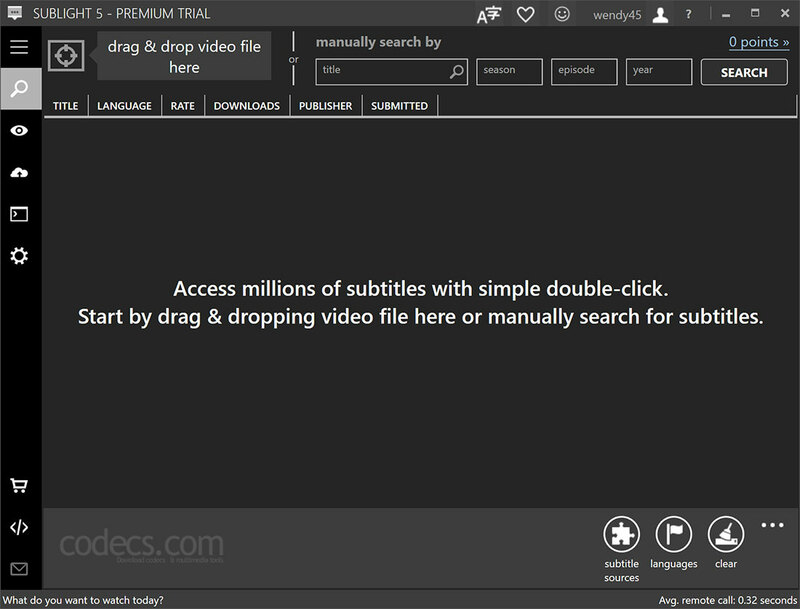 Saves you a lot of time and frustrations: drag & drop video file to Sublight, subtitles are listed, double-click it and everything automagically works! Out of the box support for third party subtitle databases: Podnapisi.NET, Addic7ed.com, Subscene.com, OpenSubtitles.org, subdivx.com, Titlovi.com (ex-Yugoslavia subtitles), Ondertitel.com (Dutch subtitles), Undertexter.se(Swedish subtitles), subom.net (Chinese subtitles), subs.com.ru (Russian subtitles), SubSynchro and TVsubtitles.net. Auto-detects 2,000,000+ movies and TV series. 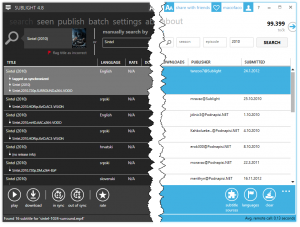 It can be integrated into Windows File Explorer so you can have quick access to subtitles by simply right clicking video file.